Excerpted from Red State Blues: Stories from Midwestern Life on the Left, available now from Belt Publishing. Once you start to see them, you see them everywhere. You may think that at some point they will fade into the background, become just a part of the landscape, but each sighting is as jarring as the first. Each raises questions about whether I belong. I drive by one of the local fire stations in Monroe Township, just a bit outside of my town of Gambier, in Knox County, Ohio, and what catches my eye is not the Stars and Stripes flying in front of the station, but a Confederate flag, atop an even higher pole, on neighboring property, just close enough to make the distinction hard to see. Is this a statement? An aggressive driver honks in the grocery store parking lot, and when I look over into the cab of the pickup, I notice a Confederate flag draped over the seat. Was this normal angry driving, or something more sinister? I go to pick up my son and his friends from a movie on a Saturday night. In the parking lot I see another truck with a Confederate flag in the back. Almost instinctively I think, is my son OK? He soon comes out of the theater, laughing with his friends, and they pile into the car. Does he see the flag? Or has this been such a common sight during his formative years that he fails to notice? This is one of the many paradoxes of life in Knox County. Ohio was, of course, with the Union during the Civil War. Kenyon College, where I am president, takes pride in having educated not only Civil War generals but also Lincoln’s secretary of war, Edwin Stanton. The town square of Mount Vernon, near Kenyon, features a monument to veterans from the area who fought to preserve the Union. That rich history would suggest that a public display of loyalty to the Confederacy would not be justifiable on the oft-expressed grounds of “history and heritage.” And yet, less than half a mile away from that monument, several homes regularly fly Confederate flags on its front porches. 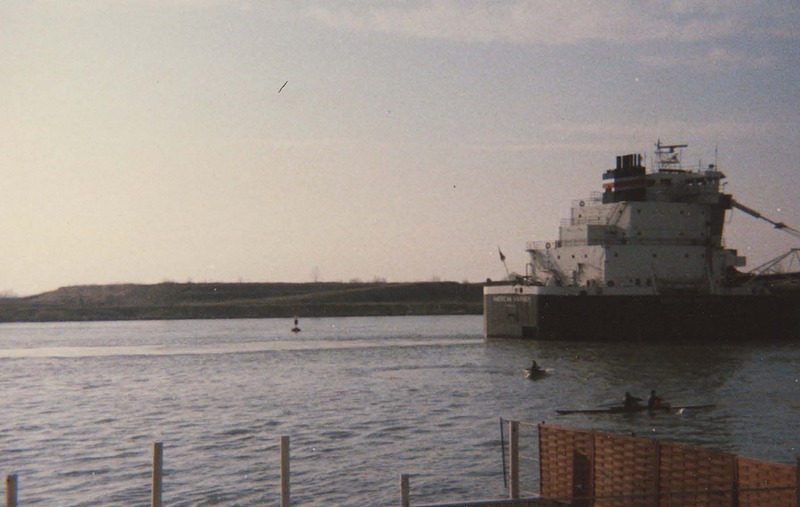 I grew up in Cleveland, and I consider myself a loyal son of Ohio and the Midwest. Throughout the thirteen years I spent living in New England (while I was a chemistry professor at Mount Holyoke College), I missed the friendliness of the community and the sense of connection found in a place where neighbors greet and welcome new arrivals. 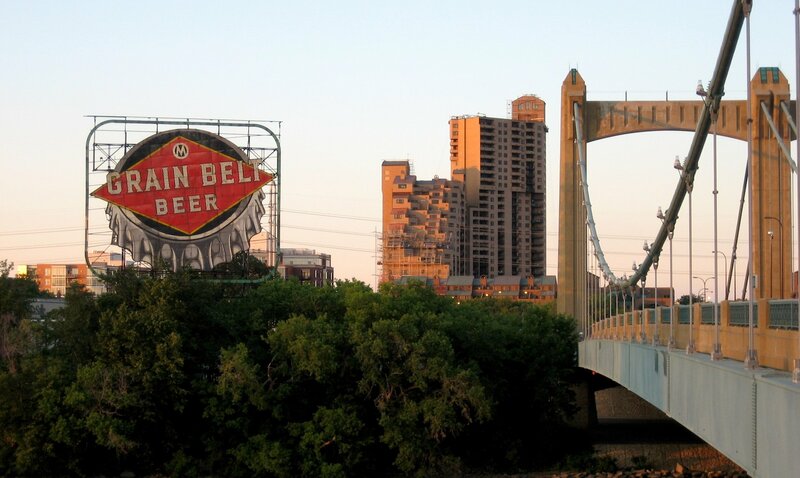 And of course I missed the deep local connection to the sometimes frustrating professional sports teams. 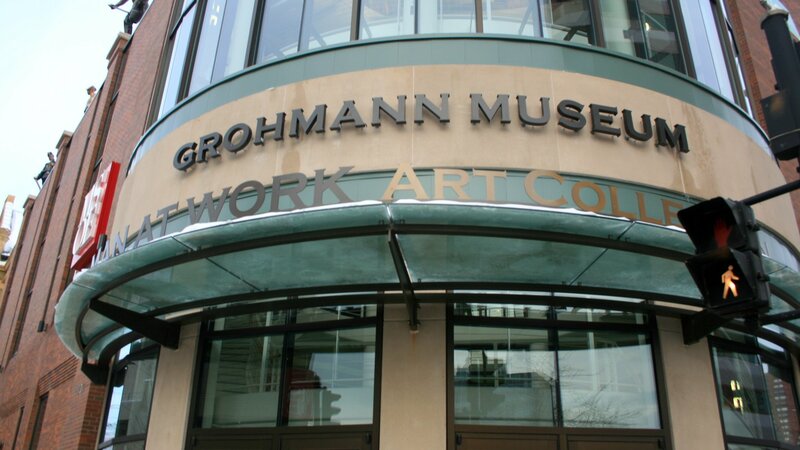 My wife is from the Cleveland area as well, and we were incredibly excited when job opportunities at Oberlin College brought us back to Northeast Ohio from New England in 2008. When I was offered the opportunity to come to Kenyon, my family had much to consider. Kenyon is an excellent institution, with a renowned reputation and international student body. Most of my life has been spent at small residential liberal arts colleges, and I felt instantly at home on its campus. And, it was in Ohio, still close to family and part of the culture I loved. But, central Ohio—in particular, a largely rural and white section of central Ohio—was very different than our familiar terrain of greater Cleveland, and as an African-American in a multiracial family I wasn’t sure whether the transition would work for us. But we decided to take the leap, and we became blue-state Ohioans living deep within red-state Ohio. Five years later, I am happy that we made the move. In many ways, we felt at home from the start. That famed Midwestern friendliness does reign supreme here, just as it did closer to Cleveland. We’ve made friends, and our son had a remarkably smooth transition into a new school. Like many of our neighbors, we spend a lot of weekend time on the sidelines of youth athletic events; we commiserate with our fellow parents when it is cold and rainy, and we celebrate victories or just good, solid play of all members of the team. There are many opportunities to share in the pain of being a Browns fan with our friends and neighbors, and the eruption of joy over the 2016 Cavs championship was felt in Knox County as well. Yet there are still difficulties, like the flags. I cannot separate the Confederate flag from its function as a symbol of racial intimidation and white supremacy, so living in its midst is discomforting, to say the least. There is the annual music festival named for Dan Emmet, a Mount Vernon native and “pioneer” in blackface minstrelsy who is credited for writing the song “Dixie” (though scholarship suggests that authorship rightly belongs to a local family of black music performers from the same era; so the festival manages to celebrate cultural appropriation as well). I know that an overwhelming majority of the people I have had the chance to know well would never brandish the Confederate flag with pride, nor would they espouse an ideology of white supremacy. But their silence on these issues, which reifies the invisibility of the concerns and feelings of people of color here and across the country, is disturbing. And yet race is only part of the complexity at work here. With a college president married to a tenured professor, our family is marked by financial privilege—especially in a region shaken by poverty and its effects. This is a county hit hard by the rise in opioid addiction; where new jobs require a level of technical skill that many are not equipped to meet; where parents in many households are holding down multiple jobs, working long hours, and still feel like they are not getting ahead. Despite the constant stress and burden of race that my family feels, we have an economic security and confidence in our long-term socioeconomic position that many of our neighbors do not share. And Kenyon’s role within the region is complex. Kenyon has been home in Knox County for more than 190 years, and the histories of the college and the county are deeply intertwined. However, more than eighty-five percent of Kenyon students are from outside the state of Ohio, many from large urban areas and/or one of the coasts (there are nearly as many Californians as Ohioans at Kenyon). Not surprisingly, at times this produces a cultural divide between folks from Kenyon and longtime residents of the local community, to whom Kenyon can seem elite, aloof, and unwelcoming. All of this was made more visible in the election of 2016 and its aftermath. Knox County was “Trump Country” in 2016: visitors to campus from liberal enclaves in New York and California would often comment with surprise on the number of prominent Trump/Pence yard signs, and in the end Donald Trump carried Knox County with more than seventy percent of the vote. If you discount the almost 1,000 votes from Kenyon students—which went almost completely to Hillary Clinton or one of the third-party options—the percentage of the vote to Trump is even greater. The election reminds me of thestrals from the Harry Potter series, the magical creatures who can only be seen by those who have seen someone die; invisible to most, they are made visible by the trauma of witnessing and accepting death. Similarly, race, class, and culture divisions in Knox County and elsewhere existed before the election of 2016; these divides were not created on Election Day, but rather like the thestrals became visible, and the appearance was shocking and disorienting. Confederate flags were always here (though they seemed to proliferate during the 2016 election), and the occasional racist shout from a passing pickup truck driving through Gambier occurred before November 2016, but in the time since these incidents seem to have taken on new meaning and weight. Politics always felt like a tricky subject for small talk on the sidelines of a sporting event, but now everyone works hard to avoid it at all costs. Yet the thestral-like appearance of these community divides also gives me a hope that a path forward is also becoming visible. The actions of the current administration have provoked serious conversations on race, religion, and immigration in our community, and several efforts have arisen in the past year to have community conversations on race, some led by local clergy (this is a deeply religious community, so clergy-led efforts have particular power and resonance). Nearby Mount Vernon is in the midst of unprecedented investment in its downtown community, not only improving the quality of life for residents but also generating serious discussions about what is needed to make the town a center for entrepreneurial development, and I know that, historically, economic growth is key to bringing about social and cultural change. And at Kenyon, we have launched a strong effort to reach out from behind our gates and into the community. Instead of isolating the campus from the town in the wake of a cultural divide, we are leaning in, doing our part as an institutional citizen to invest in the community and to help move important conversations forward. We approach this work not as outsiders attempting to remake a community in our own image, but rather as partners in a shared commitment to ensure that all in our community thrive, now and in the future. Do I belong here, on the sharp edge between red and blue? It is not always comfortable, nor should it be—but the work of bridging divisions, taking the risk of building community where it is hard to do so is meaningful. There will always be moments when I feel like I don’t belong (and fortunately, Cleveland is not too far away, so neither is familiar barbecue, haircuts, and other features of urban life). But I feel confident—perhaps naively so—that the Midwestern values of community building will be embraced by us all, and help to move us all towards a more inclusive future. Sean Decatur is president of Kenyon College in Gambier, Ohio. 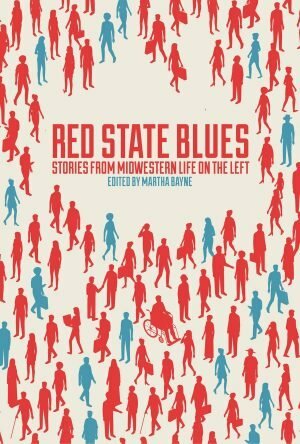 This essay first appeared in Red State Blues: Stories of Midwestern Life on the Left, edited by Martha Bayne, published in 2018 by Belt Publishing. Cover image by Doc Searls (CC BY 2.0).